Our company digested and absorbed abroad advanced technology and bond internal suppository producing practice to manufacture and develop this produce that is machine /electricity and gas united new produce. This produce can replace import equipment, and it lies in internal precede level, and we have reported national patent for it. 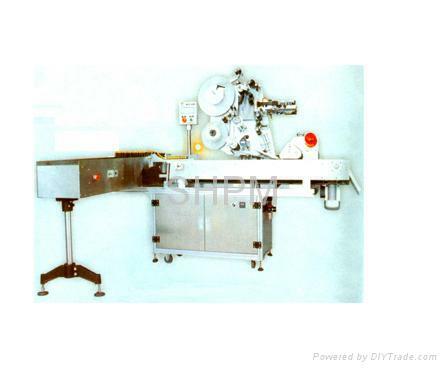 This subassembly can be adapted to producing suppository of plant physic of various groups, various gluing degree and various forms. 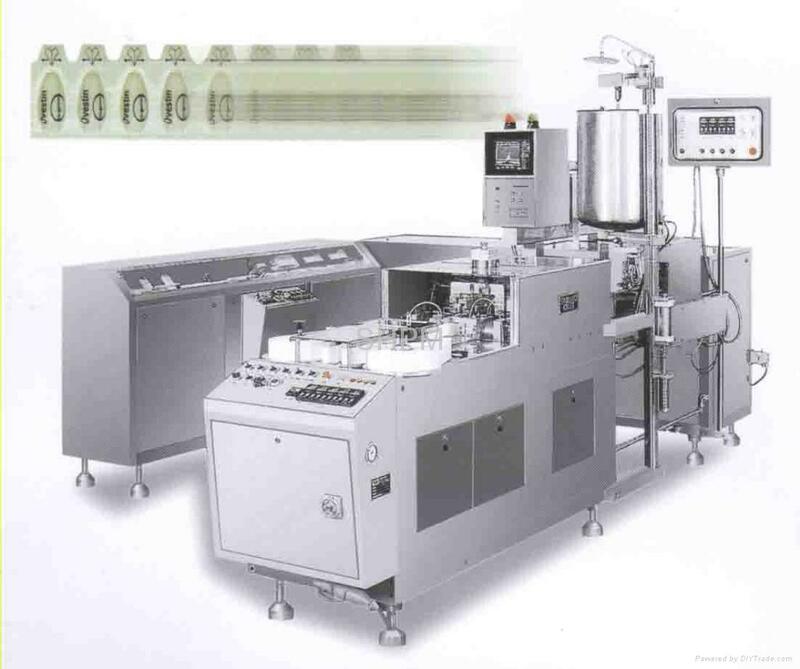 The rolled plastic sheet material (PVC and PVC/PE) is pressed positively to blow and make a statue to take shape, and enter into filling procedure automatically, stirred equally drug fluid is filled to nul nutshell automatically through high precise dosing pump, and is sheared into multi-strip iso-segment. 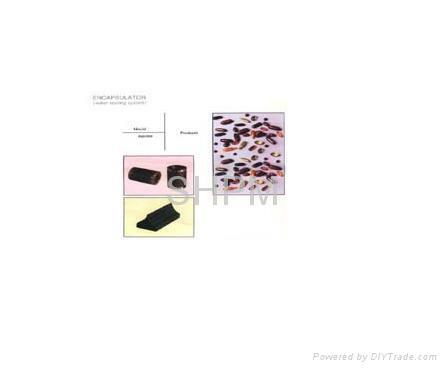 Then it will become solid cork granulation through much time cryo-stereotypia which will realize conversion from fluid to solid. At last, it will be produced to end product suppository by mending form, sealing, beating batch number and shearing working procedure. 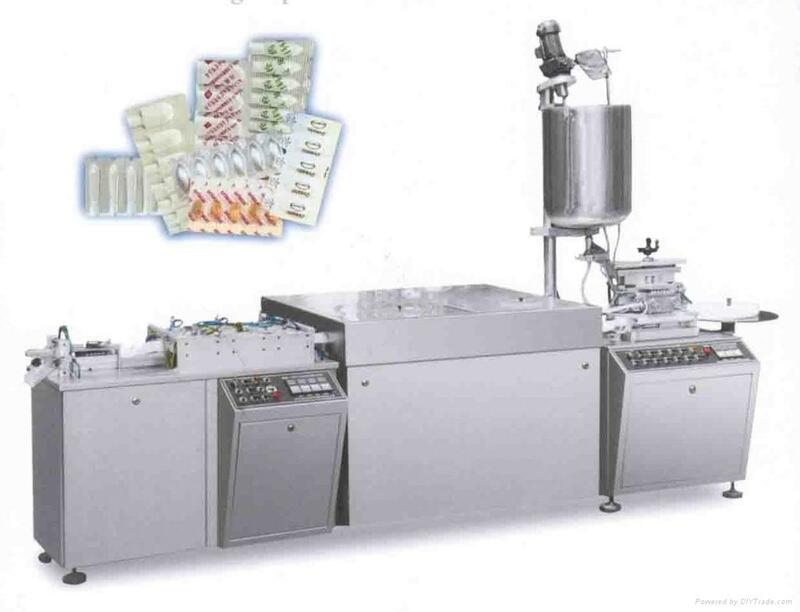 1. using inset filling，accurate in position，non-dribbling drug，non-hanging wall、high precise in counting. 2. Be widely used in suitability, can be used to fill high gluing degree gelatin group and the traditional Chinese medicine ware. 3. Having big volume storing fluid vessel, laying home thermion\ stirring and fluid surface auto control assembly. 4. 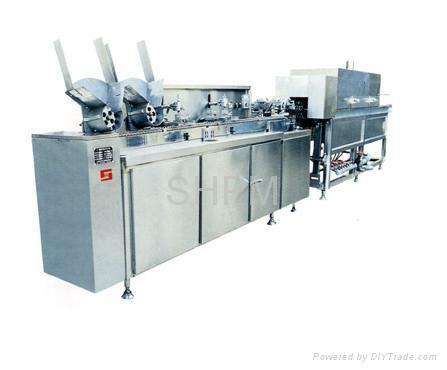 Relieving worker’s physical labor strength for lower position of filling drug fluid, laying cycling to supply fluid and keeping thermo equipment of channel pathways, and it will ensure drug fluid not be coagulated when machine stop. 5. One side operation and better sight. demi-synthesis fatty acid lipo-glycerol、glycerol gelatin、polyethylene glycol etc.